Build your own travel system with the 2-in-1 Liteway™ Plus stroller and KeyFit® infant car seat! The stroller seat features innovative forward-fold functionality to accept your KeyFit® with an audible click. For use in toddler mode, the enclosed seat also features 5 recline positions for sleeping children. The Liteway™ Plus has a compact 3D fold and carry handle for easy travel, plus trendy colors, modern tailoring, elliptical tubing and technical fabrics for a fashion forward look and feel. Other features include rear wheel suspension, toe-tap locking brakes, adjustable leg support, removable canopy with peek-a-boo window, storage basket and parent cup holder. Recommended for children up to 50 lbs. 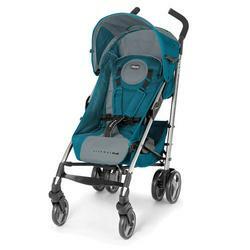 Best of all, the Liteway™ Plus stroller is compatible with the matching KeyFit 30 Infant Car Seat.